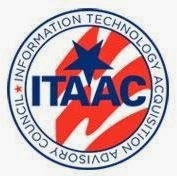 The Information Technology Acquisition Advisory Council (ITAAC) and Telecommunications Industry Association (TIA) are honored to team with NGA in hosting the first “Agile Sourcing Environment for Commercial Cloud” brainstorming session, April 23, 2014 at TIA headquarters. This not for profit and free industry event is designed to improve cloud computing standardization and interoperability. Polly Shaffer, NGA Industry Innovation Advocate, will be presenting at the “Agile Sourcing Environment for Commercial Cloud” brainstorming session on April 23, 2014. 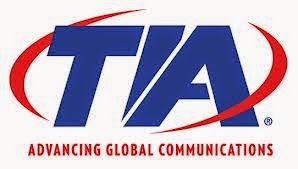 Jointly hosted by the ITAAC (https://www.it-aac.org/), Telecommunications Industry Association (https://www.TIAonline.org/) and NGA (https://www1.nga.mil/). Attendees will have the opportunity to collaborate with government representatives on conceptualizing a multi-vendor marketplace from which NGA and other government entities could quickly source and acquire innovative and interoperable cloud computing services (IaaS, PaaS, and SaaS). These services would be used to support unclassified operations. Office of the Director of National Intelligence will also provide a briefing on “Project Interoperability” (https://project-interoperability.github.io/) a newly released set tools for efficiently building information interoperability across multiple organizations and IT systems. The envisioned cloud computing services environment will leverage this guidance to manage the consistent application of design principles and design standards. Subsequent sessions will be used to solidify a working model for implementation of the “Agile Sourcing Environment for Commercial Cloud” concept .